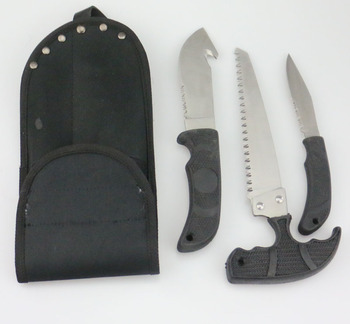 Hunting knife set including half serrated blade utility knife, half serrated blade hunting knife with hook cutter, saw. 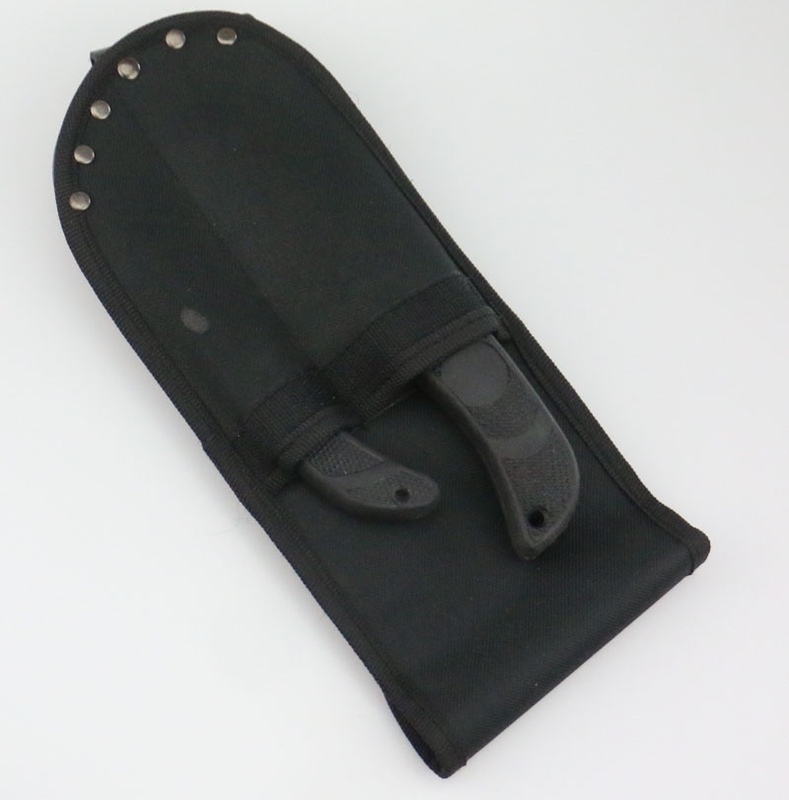 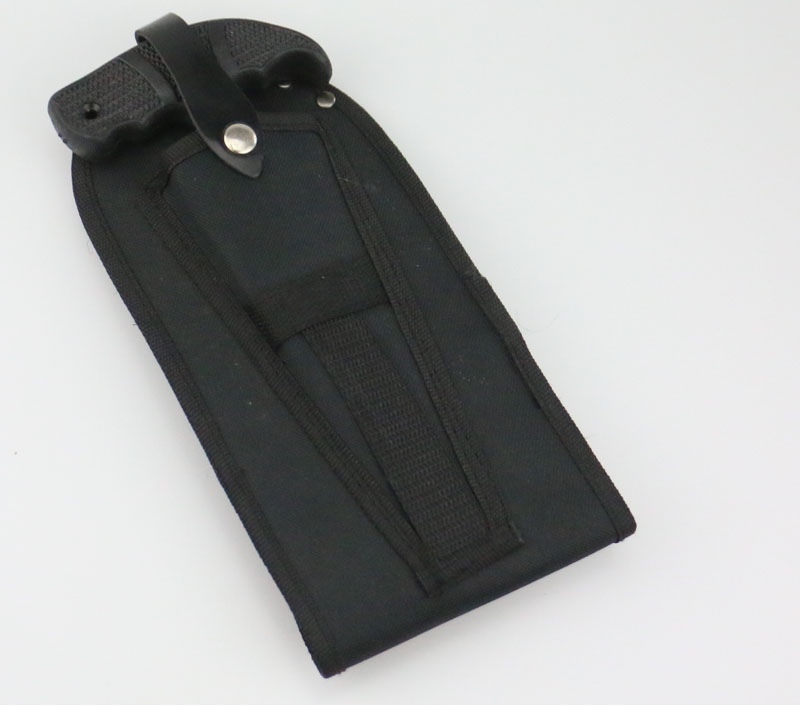 You can see that our nice nylon sheath is with a lot of metal rivet at the side which can stop the blade cutting out. 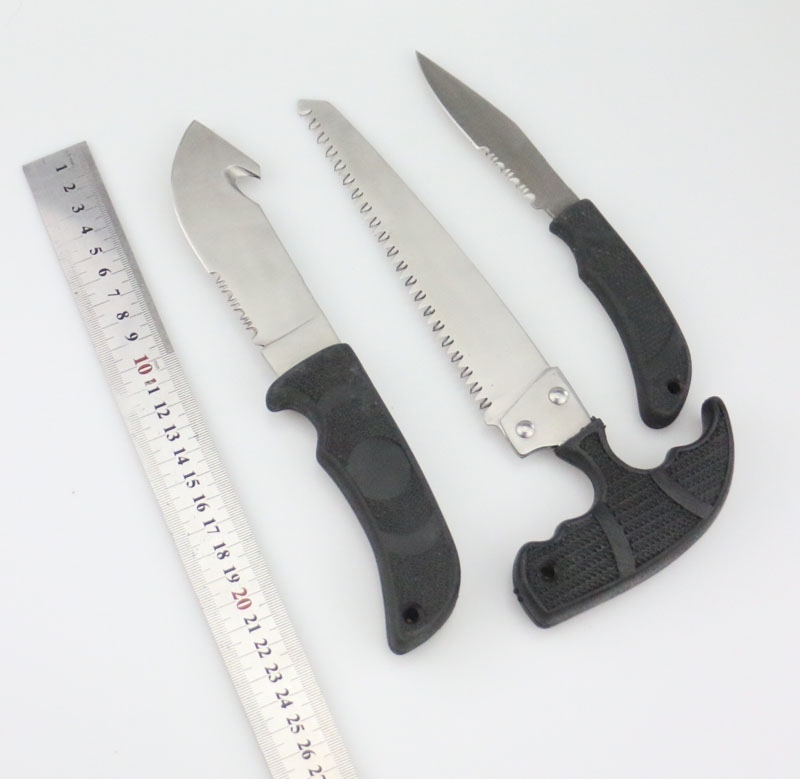 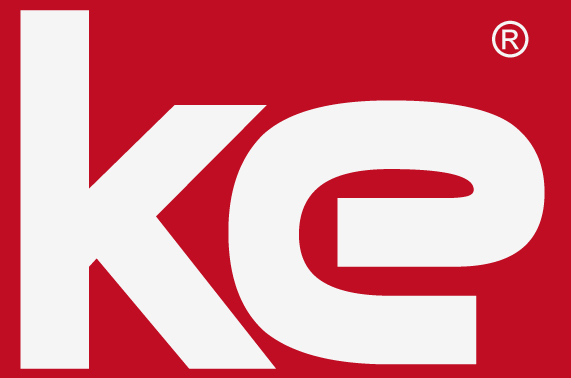 It is a light and useful hunting knife set.